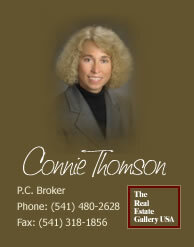 Connie’s extensive knowledge of the residential and commercial markets, ability to work with people and expertise in the real estate transaction process all contribute to a smooth and seamless transaction. She will find properties that fit your needs. She will simplify the buying process by handling the details, monitoring the entire purchase process and keeping you informed of the progress. Helping you find the perfect home or investment is her priority. From the beginning of the search to the closing, she will be there each step of the way. Discuss your needs and goals and plan the search for the property. Research all properties available that fit your criteria. Schedule appointments and accompany you on all property showings. Provide professional representation during negotiations with the seller and seller’s agent. Prepare and present you purchase offer and provide disclosure forms. Guide you through the process of financing. Assist you in the selection of professional inspectors. You can search all of the properties on the Central Oregon Multiple Listing Service (MLS) for Free. Simply click on the MLS Listing tab to get started.